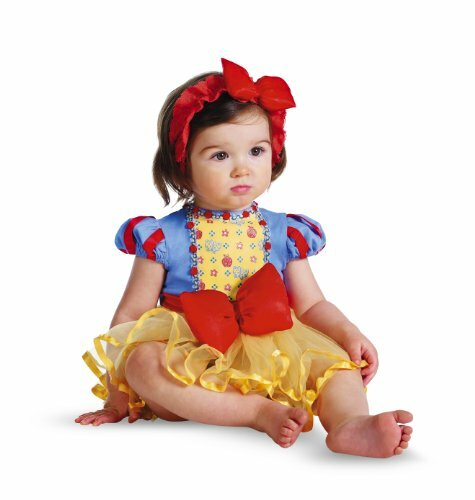 Product includes tutu onesie and headband with bow. The beautiful and kindhearted princess Snow White charms every creature in the kingdom except one -- her jealous stepmother, the Queen. 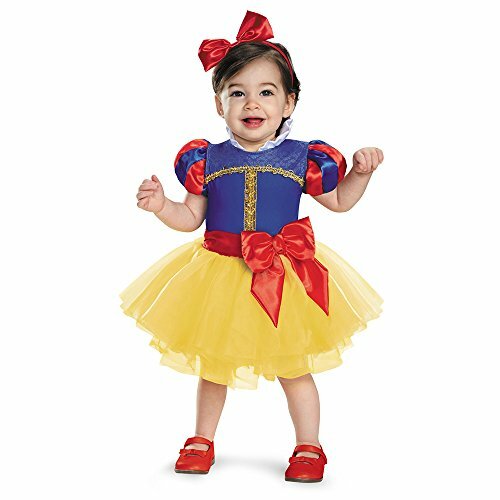 When the Magic Mirror proclaims Snow White is the fairest one of all, she must flee into the forest, where she befriends the lovable seven dwarfs -- Doc, Sneezy, Grumpy, Happy, Bashful, Sleepy and Dopey. But when the Queen tricks Snow White with an enchanted apple, only the magic of true love's kiss can save her!. 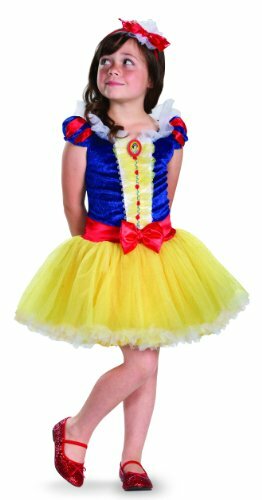 The Prestige Snow White costume for kids includes the dress with tutu skirt, cameo and headband. 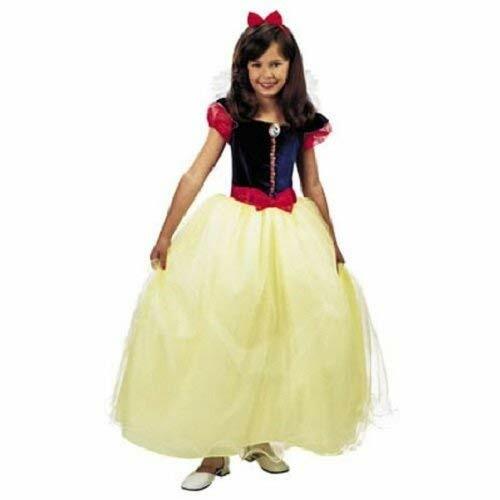 The Snow White costume for kids comes in child sizes Medium, X-Small, Small. 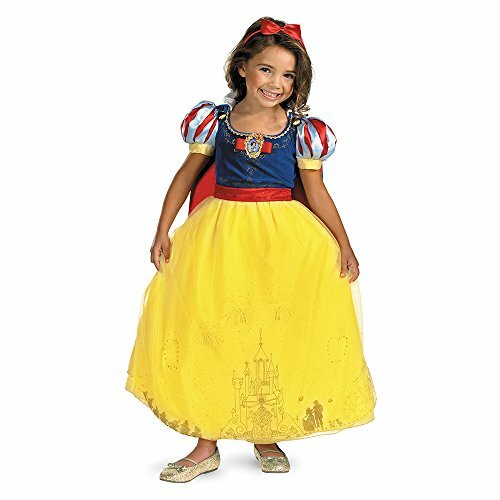 This Snow White costume for kids is an officially licensed Disney Princess costume. Please note: This item's color may vary due to inherent manufacturing variations or your computer monitor's color settings. The item you receive will be identical or substantially similar to the item pictured in this listing. 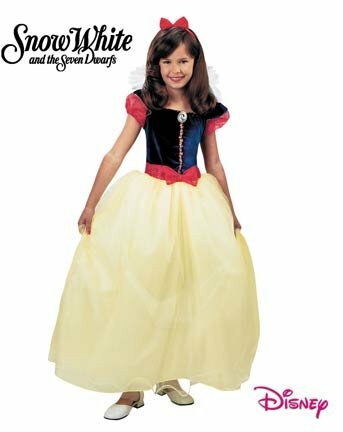 PRESTIGE SNOW WHITE PRINCESS COSTUMESnow White Costumes(Item #DISM206-C7)Size: Child Size 7-8Includesdress petticoat cameo cape headband w/bowIt is an officially licensed product. 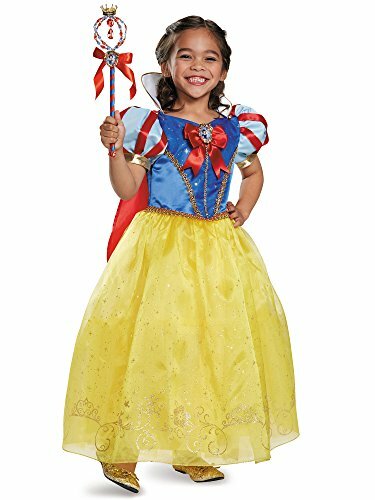 Princess Costumes - This Disney Storybook Snow White Prestige Edition Costume includes the princess style dress with petticoat, glittered character art on the skirt, character cameo, detachable cape and matching bow headband. Includes: Dress with deluxe character cameo, attached Petticoat and matching Bow hairclip. 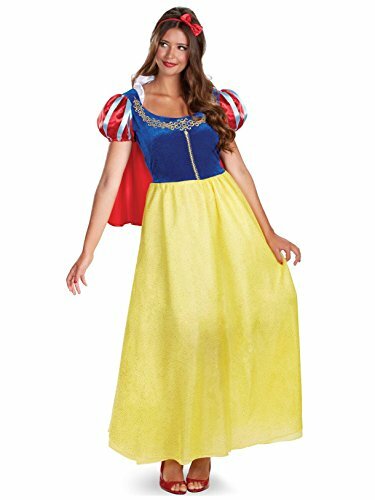 Includes a long dress with blue velvet bodice yellow skirt with sheer over skirt, character cameo, red sleeves & waist, attached white collar, and matching red hair bow. Shoes not included. 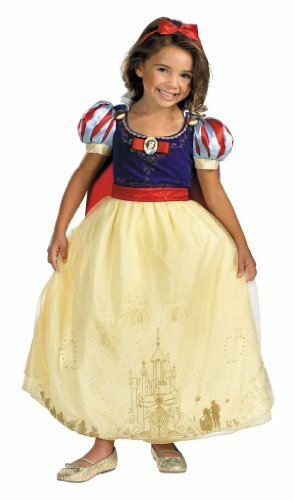 This is an officially licensed Disney Princess costume.